Wordless Wednesday = Perfect for Hump Day! - HAPPINESS IS WATERMELON SHAPED! This is the first time I'm linking up with Miss DeCarbo for Wordless Wednesday! 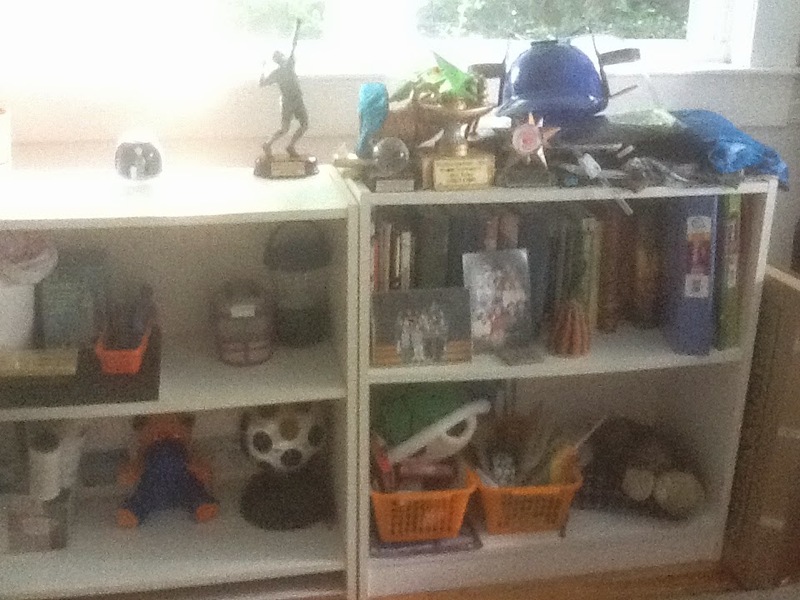 Question: If I didn't dust and organize my children's shelves once a year, how long would they stay like the shelf on the right? It's hard enough to keep my shelves looking neat and organized. I am sure it's even more of a challenge with kids. I will be first in line for one of those cleaning robots.